Dr. Jeanne Quivey is a well-known radiation oncologist in San Francisco, California. She received her BA title in genetics from the University of California, Berkeley in 1966 and her medical diploma from the University of California San Francisco School of Medicine in 1970. After getting her medical degree, she did an internship at Highland – Alameda County Medical Center in Oakland, California. Dr. Quivey completed her medical education with a residency in radiation oncology at UCSF in 1974 where she was the chief resident. She is certified by the American Board in therapeutic radiology. 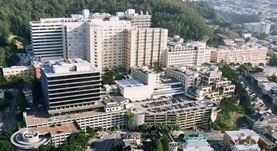 This doctor is affiliated with several hospitals in the area, including: UCSF Medical Center and Zuckerberg San Francisco General Hospital and Trauma Center. Since 1990 she keeps on working as a professor of Clinical Radiation Oncology, Department of Radiation Oncology at the University of California San Francisco, California. She was awarded the honor Super Doc. She has published a lot of articles in cooperation with other doctors. She is a member of the American Society of Clinical Oncology. Dr. Jeanne Quivey has contributed to 3 publications. Risk factors for neovascular glaucoma after proton beam therapy of uveal melanoma: a detailed analysis of tumor and dose-volume parameters. Mishra, K. K.,Daftari, I. K.,Weinberg, V.,Cole, T.,Quivey, J. M.,Castro, J. R.,Phillips, T. L.,Char, D. H.; Int. J. Radiat. Oncol. Biol. Phys.. 2013 Oct 1. SU-E-J-84: Investigating the Use of Deformable Algorithms to Register and Accumulate Dose to the Spinal Cord for Head-And-Neck Radiotherapy Patients. ; Med Phys. 2012 Jul 05. Dosimetric evaluation of automatic segmentation for adaptive IMRT for head-and-neck cancer. Tsuji, S.Y., Hwang, A., Weinberg, V., Yom, S.S., Quivey, J.M., Xia, P.; Int J Radiat Oncol Biol Phys. 2010 Jul 1.